Dr Kerryann Walsh is an Associate Professor in the Faculty of Education at QUT. 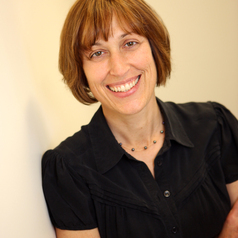 She is a leading Australian scholar in the interdisciplinary field of child maltreatment prevention and has researched and published in the areas of school-based child sexual abuse prevention programs, parent-child communication about sexual abuse prevention, professionals’ reporting of child abuse and neglect, and training interventions for mandatory reporters. During the 1990s, Kerryann worked as the early childhood teacher at the Abused Child Trust's (now known as Act for Kids) first community treatment centre, Contact House, in Brisbane. She is Co-Director (from April 2013) of the Australian government-funded Excellence in Research in Early Years Education (EREYE) Collaborative Research Network (CRN) involving QUT, Charles Sturt University and Monash University. She leads the Children’s Rights and Welfare program in QUT’s newly-formed Children and Youth Research Centre.